What’s on your radar screen? Are you trying to locate a missing sock or do you have bigger plans in life? A creative Prezi Next presentation with a classic green radar theme. Zoom into the circles on the radar and insert your own content. Talk about finding success in business, marketing or navigating correctly in real life or in online situations. A circular Prezi Next Presentation Template with a green technology background. The Radar presentation starts with a hi tech green circle on a dark technology background. 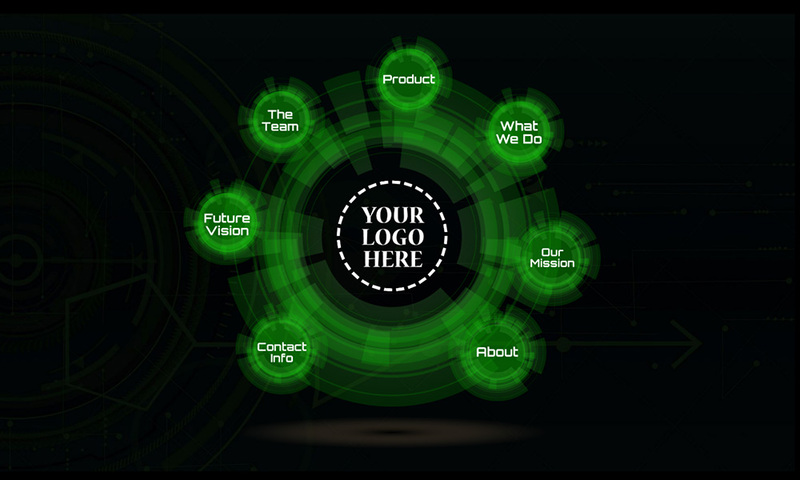 The overview slide includes a placeholder for your logo or title in the middle of the green radar symbol and topic circles hovering around it. Zoom into the topic circles and add your own content to replace the demo slides. Easily duplicate the existing circles if you need to add more topics around the radar. Use the template for making a presentation about future technologies such as VR or AR solutions or make business pitch for a startup tech company idea. 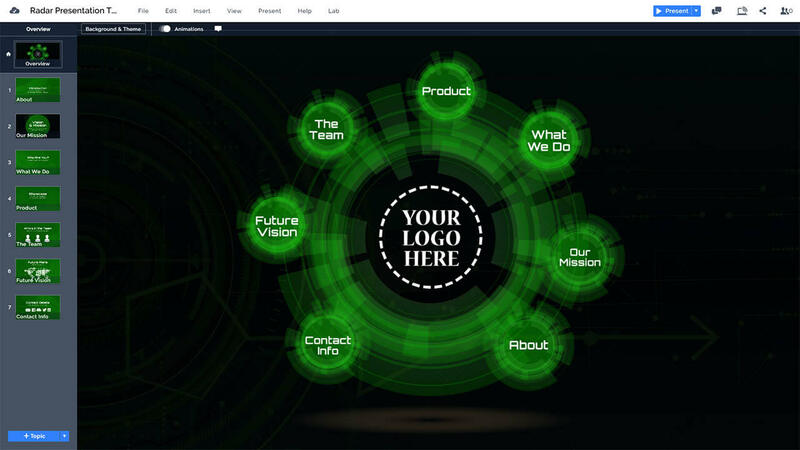 The template uses classical green color scheme and a font that is most commonly associated with a technology theme. As soon as Prezi Next supports animated GIF images, we’ll also add some motion into this template! This entry was posted in Best Prezi presentation templates, Prezi Next Templates and tagged aviation, creative radar presentation, darar presentation, nagivation, prezi next template, prezi next templates, radar powerpoint template, radar powerpoint template free, radar powerpoint templates free download, radar presentation template, radar template prezi, search, sonar, targeting, tech radar, war.